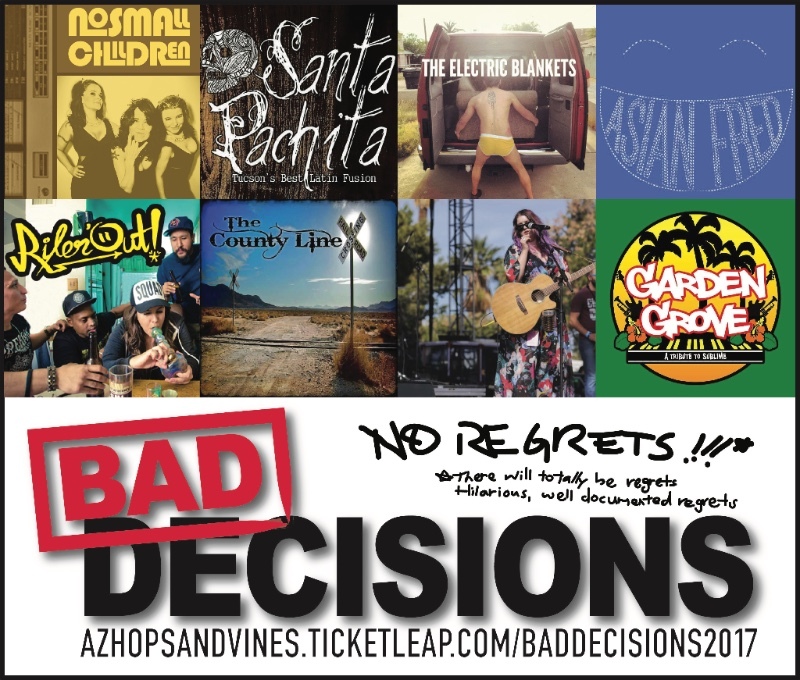 We’ve combined our two craziest events into one completely insane event: The Bad Decisions bacon, chocolate and booze campout and meteor shower. Wine by us, beer by our favorite local breweries and distilleries, food trucks, local restaurants, s’mores, astronomy geekery, camping, and tons of live bands and entertainment. Arizona’s biggest winery, brewery, and distillery festival! And since it’s an overnight campout, that means no DD required! Holding to our fine tradition of pairing things that are unhealthily amazing (Cheetos, cupcakes), we are pairing chocolate, bacon, wine, and beer. We’ll also have tons of awesome food trucks. (Food is not included in the admission price). The Perseids is one of the best meteor showers to observe, producing up to 60 meteors per hour at their peak. The shower will come from the northeast after about midnight. In the morning, we’ll all enjoy Fluffer mimosas! $25 Drinker Entry, includes Over 21 Drinking Wristband, souvenir wine glass, and ten tasting tickets. Bacon, treats, chocolate, and all other food is not included. Tickets will go up to $35 at the gate, so make sure you purchase them now! $10 Non-Drinker Entry- for all of those awesome DD’s out there! Ready to party with us all night under the stars? Purchase your Drinker or Non-Drinker Pass (per person) and $20 overnight parking (per vehicle) if you plan on tent camping. RV spots are just $50 (includes one free parking pass for a vehicle, overnight passes should be purchased for any additional vehicles), but make sure you reserve them quick… limited RV spots available! Roll in around 10AM to set up your tent or RV campsite! It will be epic! Don’t miss out! 3. Arizona Hops and Vines is not responsible for any lost, stolen, or damaged property. Hops and Vines is not liable for any injury, death, or bad decisions. That includes ended relationships, weight gain, hangovers and any awkward encounters. 4. Do not fall into the fountain or let your children fall in the fountain. 6. Parents, YOU ARE RESPONSIBLE FOR YOUR OWN KIDS. 7. All animals should be kept on a leash, and all poop must be put in a bag. 8. Respect the Arizona Hops and Vines property. Pee and poop in the Porta Pottys, NO puking anywhere but into a toilet. 9. No driving through the campsite after 10PM. 10. NO OUTSIDE ALCOHOL (Automatically kicked out for that one). NO OPEN FIRES. 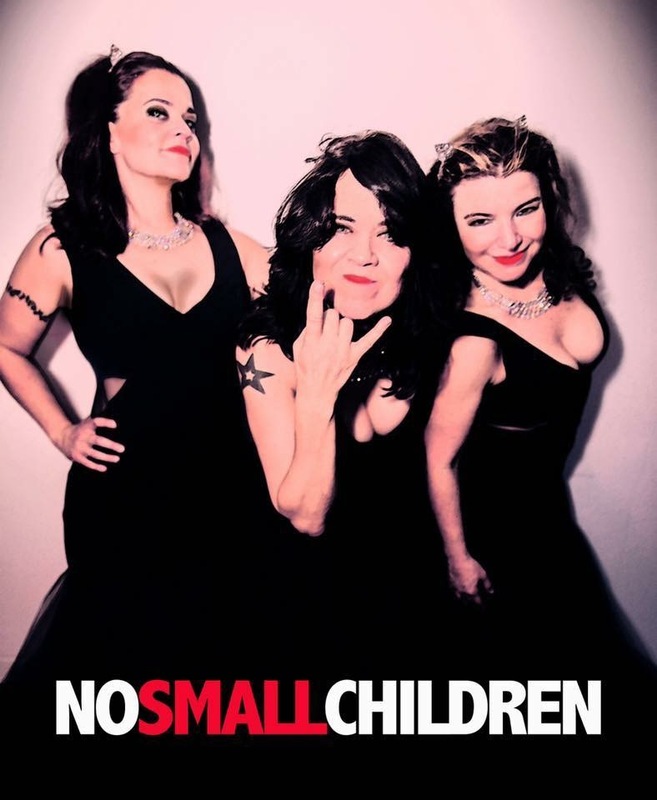 You aren’t going to want to miss No Small Children, our FAVORITE all girl punk band and the BA ladies behind the new theme song in the recent Ghostbusters remake, and also the soundtrack for Netflix’s Santa Clarita Diet. Check them out HERE.